Geoff and I climbed this *** route yesterday as a photoshoot for a new book on the mountains of Ireland by Gareth McCormick. 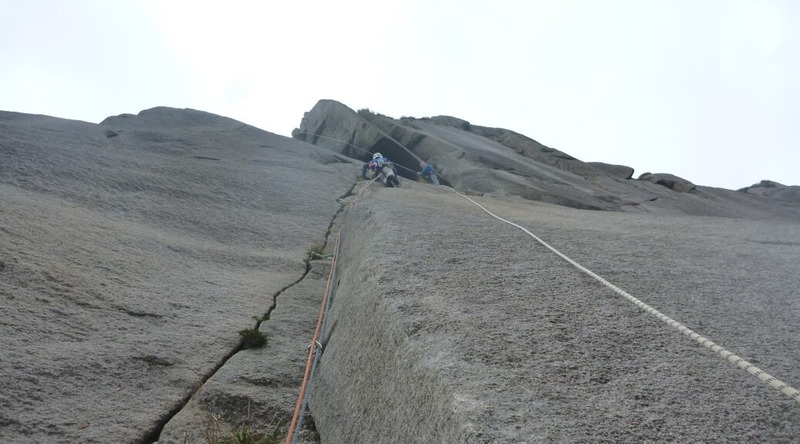 We dropped a 100m rope from the top for Gareth, and climbed the route in two pitches. It was more vegetated than I remember, but still a classic HVS. Geoff was more ecstatic than I have seen him for a while. The 2 hour each way trudge into Belshade did little to dampen our spirits in Biddies afterwards. Guidebook link to Classical Revival here.